I created these videos to support my professional home ISPI – the International Society for Performance Improvement – with the help of all of the listed folks below – mostly between 2008 and 2012. Human Performance Technology (HPT) is the application of evidence based methods to problems and opportunities for Measured Results – and Performance Improvement (PI). – Practitioner Series – short 2-10 minutes, following a script; no interviewer. 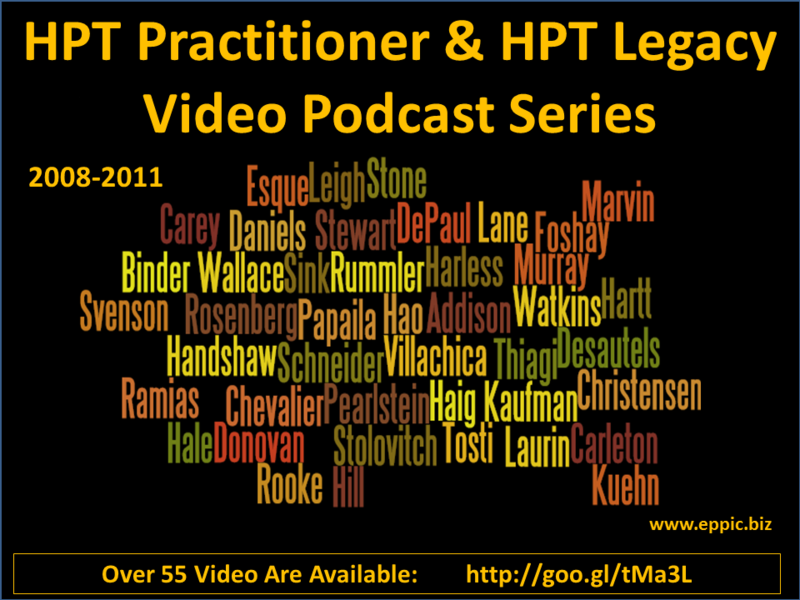 Intended to show the diversity of HPT and HPT Practitioners from within ISPI. – Legacy Series – longer 15-40 minutes, also scripted but with an interviewer; with added stories of other NSPI/ ISPI’ers from the earlier days of the Society. Intended to capture the stories of the people from the ISPI’s past. All were shot, edited and produced by Guy W. Wallace. See the page of links – here.